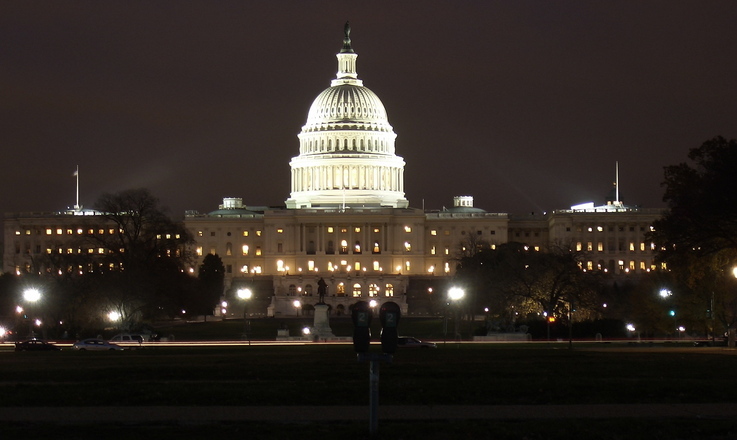 The Senate has passed a short-term extension of the National Flood Insurance Program (NFIP). It passed 82-12 with the 12 being Republicans who want the program reformed and not extended. There — however — wasn’t any time to reform considering the program expires tonight at midnight. The extension goes until November 30th of this year and gets the country through the hurricane season. The extension now goes to President Trump for his signature. He’s expected to sign. PIA has been actively working with Congress for more than a year to encourage the long-term reauthorization of the National Flood Insurance Program (NFIP) and the reforms that are also needed. “The tendency for Congress has been to postpone action on flood insurance. Unfortunately, this leads to multiple short-term extensions and short lapses in the program. A long-term reauthorization of the NFIP with bipartisan reforms is more than possible. PIA will continue to work with congressional offices to find common ground on reforms in a reauthorization of the program that recognizes the key role independent agents play in delivering it to homeowners and business owners,” Gentile said. Weekly Industry News will have a more in-depth story on the extension in next week’s issue. Translation: maybe more private carriers doing flood insurance. The NFIP is $25 billion in debt to the U.S. Treasury and one of the goals of the new renewal bill is to reduce that amount significantly. To do it the bill proposes surcharges and assessment rates and to boost the NFIP’s reserve fund by 1% a year. The new plan — if enacted — cuts the cap on premium rate hikes from today’s 18% to 15%. And in an effort to get more private insurers involved, the NFIP will be barred from selling policies for new structures in high-risk areas if private insurance is available to take on the risk. Meanwhile, during the five-year period the NFIP will begin adjusting rates based on the actual risk to properties insured. It will also do away with policies for homes whose replacement value goes above $1 million. Republican Sen. Bill Cassidy of Louisiana and New York Democratic Sen. Kirsten Gillibrand have proposed provisions that aren’t in the bill that is now before the House committee. Their ideas including making premiums affordable to a broader base of consumers via vouchers to help low income households. PIA National Vice President Government Relations Jon Gentile worries the new renewal push might end up cutting the reimbursement rate for Write-Your-Own (WYO) carriers. He says that would be counter-productive and lead to fewer policies being sold. “A cut to the reimbursement rate for Write Your Own insurance companies would likely trickle down to independent agents who sell this very complicated and vital line of insurance. That cut would lead to an exodus of qualified agents selling it. Any proposal to reauthorize the NFIP that would impede agents' active engagement in selling flood insurance should be rejected," Gentile told Best's News Service. We are aware the program is heavily in debt due to hurricane Katrina and Superstorm Sandy. However, fewer qualified agents selling the products will hurt consumer access and slow the NFIP's take-up rate when the very opposite is needed to ensure the continued viability of the program,” Gentle said. The National Flood Insurance Program (NFIP) rates rose again on April 1st. A high percentage of homeowners saw price hikes as a result. The average rise for an annual premium is 6.3% and the average payment is now $878. That doesn’t include various fees, taxes and surcharges that can be tacked on depending on where you live. Areas with higher risks, or those with second homes or homes that have experienced multiple claims will see much higher rates. Some of those will see rates that run four digits and not three. This year isn’t bad compared to what’s coming. Rates could rise up to 25% a year until the NFIP becomes a sound taxpayer investment. That could be awhile since the NFIP is $24 billion in debt. Worse, a whopping 43% of Americans think flooding is covered by their homeowners policy. And Aon National Flood Services VP Cynthia DiVincenti said there are 25 million homeowners living in areas where they really ought to have flood insurance. That’s about 5x the number who are now insured. The high costs of insurance and the debt of the NFIP is something Congress needs to — once and for all — deal with but Loretta Worters of the Insurance Information Institute (I.I.I.) says instead it keeps kicking the proverbial can down the road. “Even when it was easier to get things done, there were all kinds of delays. The last time the NFIP ran out, it took 17 short-term extensions, four lapses and almost four years before the program was reauthorized,” she said. But reforms — like the Biggert-Waters Act — have done little to fix the problem. It attempted to put flood rates on a sound actuarial basis but it caused a huge rise in rates and consumer complaints caught the ear of members of Congress who backed down and reformed the reforms. Or back to Worters’ comment — kicked the can down the road. Maybe that’ll change. The Trump administration — and a lot of Republicans — want to privatize flood insurance. That has some screaming. That includes Consumer Federation of America (CFA) advocate Robert Hunter. He said private insurance will just “cherry pick” the least risky properties and leave the rest to government or to no insurance availability at all. SmarterSafer.org thinks the solution is a mix. The group is a coalition of environmental, real estate, insurance, and taxpayer groups and wants Congress to rethink how flood insurance is done. 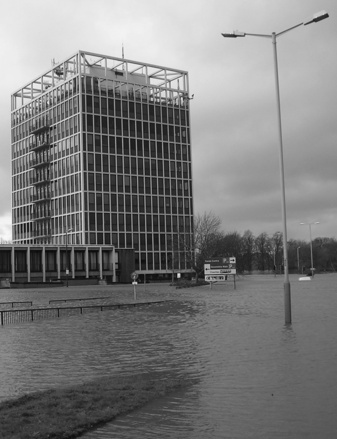 Improving flood mapping and risk analysis is a good place to start. And it wants — no surprise — more choices for consumers and that means privatizing and letting consumers choose what direction they want to go. 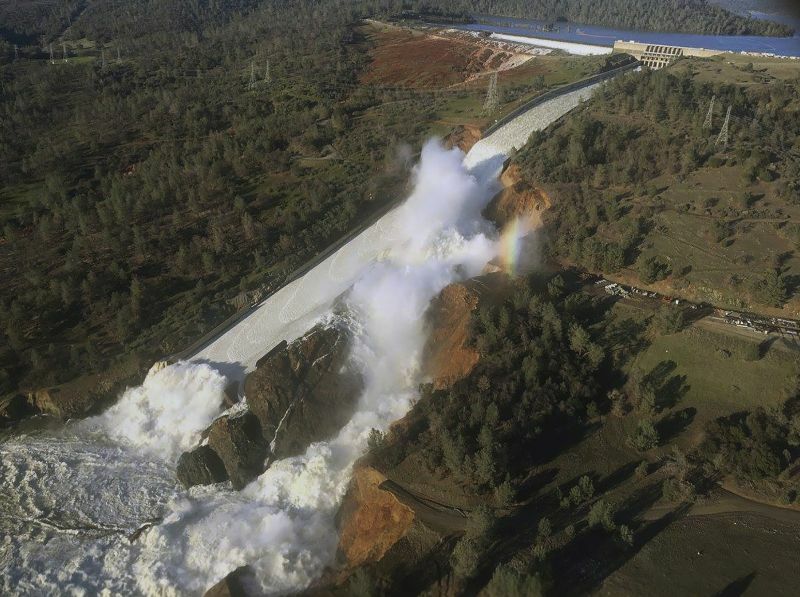 Oroville’s 770-foot dam needs fixed and it needs fixed now. Independent safety experts from all walks hired by the Federal Energy Regulatory Commission say if the dam isn’t repaired and the damaged spillway in working order by fall, it places the 188,000 people of that area and their property in significant risk — again. Fall is when the rainy season hits Northern California in earnest. A report from the California Legislative Analyst's Office notes to get the repairs done it will take around the clock efforts between now and then. And it has set November 1st as the target date to finish. 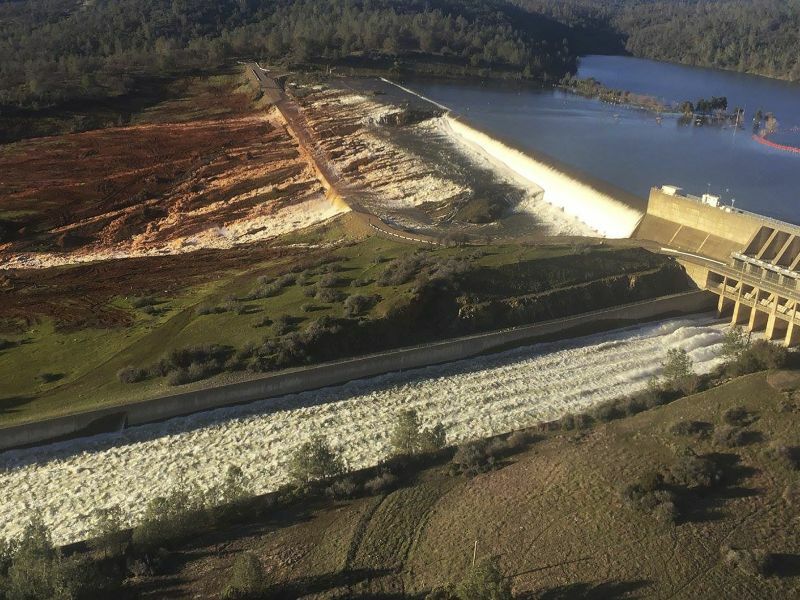 It also points out that tens of billions of dollars are needed to repair aging dams and levees around the state and that Oroville’s dam is just the tip of the proverbial iceberg. California Department of Water Resources spokeswoman Maggie Macias said her department’s objective is to have the spillway redone by the November 1st date. “We’ll be working round-the-clock through spring, summer and fall to make that happen,” she said. A price tag for the repairs has not been set yet. That California’s Legislative Analyst’s Office finds it will take tens of billions to repair the state’s dams and levees is not surprising. Nor is it much a surprise that other — similar — agencies in other states and at the federal level find the nation’s infrastructure in terrible condition. The American Society of Civil Engineers (ASCE) is one such group and in its just released every four-years report, it gave the condition of the nation’s roads, bridges, dams and other infrastructure a grade of D+. President Trump has promised to spend about $1 trillion in public and private funds in the next few years to begin to fix the problems but the engineers say it is going to take at least an additional $2 trillion — in addition to what cities, counties, states and the federal government has already budgeted — to raise the grade. To get to a grade B by 2025 will take about $4.59 trillion. A week or so ago California officials ordered 200,000 people from a number of cities downstream from the Oroville Dam to evacuate. Those impacted by the potential failure of the nation’s tallest dam live in six counties and in 50,047 single and multi-family dwellings. The dam’s potential failure comes from a 170 wide and 40 to 50-foot hole in the main spillway. Adding to the crisis is a deluge of water from storms some are jokingly comparing to the biblical story of Noah. The State Department of Water Resources runs the dam. Its director Bill Croyle said the main spillway cannot be repaired so an also deteriorating overflow spillway is being used to divert the water. Both spillways will continue to deteriorate. That — however — is a better option than the entire dam giving away. “We’re seeing erosion as all that energy moves downhill. It’s hitting rocks and moving in different directions. It’s going to hit weathered material or soil and it’s going to carry it. That’s going to be a part of the normal process as we move forward,” Croyle said. He also noted the dam’s water release of 60,000 cubic feet per second has made room for the rain being dumped for the next set of storms. And that’s good news for those 200,000 people who have now returned to their homes. Crews — 96 of them — continue to work around the clock to stabilize the dam. President Trump has approved federal emergency aid for the dam and put together a separate package to help the state with all the flooding from the recent storms. Though he didn’t mention the president by name, Governor Jerry Brown is pleased that Trump is helping. “I want to thank FEMA for moving quickly to approve our requests. This federal aid will get money and resources where it's needed most,” the governor said. Just 12% of the homes listed are in the Federal Emergency Management Agency’s (FEMA) Special Flood Hazard Area. They are required to carry flood insurance but the rest of the homes threatened are not. Realistically looking at things, CoreLogic said the homes that are actually threatened number is 33,967 and the estimated reconstruction value — based on total destruction — is $9.8 billion. These homes are 20 to 60 miles from the dam. Another 16,080 homes are less 20 miles from the dam. Their estimated reconstruction value is $3.5 billion. 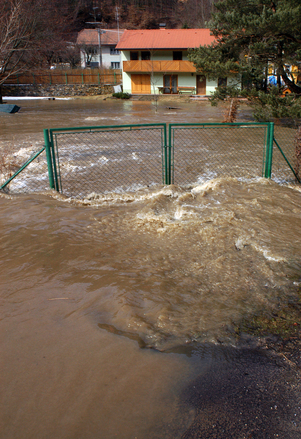 For years PIA National has advocated for changes in the National Flood Insurance Program (NFIP). Your organization — recognizing that the NFIP is, pun intended, drowning in billions in debt — says reforms should include allowing more private insurer participation in the flood insurance, changes in pricing and changes in how flood zones are characterized. A group called SmarterSafer.org is also pushing for reforms and it wants to start with how flood zones are defined. Among others, the group includes Chubb Ltd. and Swiss Re AG, Reinsurance Association of America, National Taxpayers Union, Union of Concerned Scientists and National Wildlife Federation. 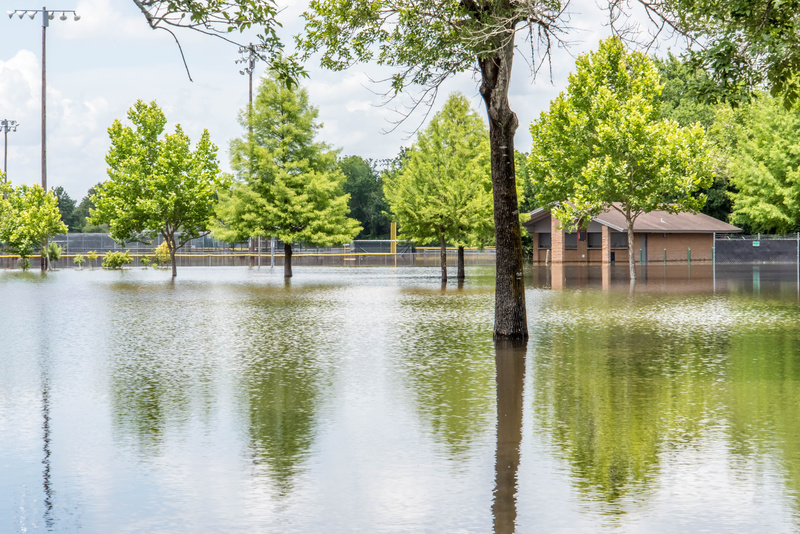 SmarterSafer has introduced a plan to require the NFIP to use cutting-edge technology to make flood zones more precise which will lead to the pricing of premiums equal to the risk. The group is also urging incentives for communities to take steps to restore natural flood buffers like wetlands and forests. SmarterSafer is — like PIA — urging the federal government to let more private insurers into the game. 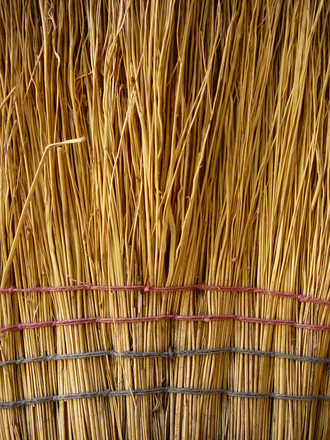 As the NFIP’s September renewal date approaches, the group noted why changes are needed. The NFIP owes the U.S. Treasury $24.6 billion. Most of that comes from claims from Hurricane Katrina in 2005 and Superstorm Sandy in 2012. • Working with members of Congress to support legislative solutions to create sensible options for growing the private flood insurance market, promoting flood risk management policies, transitioning to risk-based rates and reforming the NFIP. • Working with the Federal Emergency Management Agency (FEMA) to support solutions for eliminating the NFIP's debt and putting the program on a path to fiscal stability ahead of September 30, 2017, when the program is up for reauthorization. • Participating in the Flood Insurance Producers National Committee (FIPNC), an advisory committee to the federal government on issues concerning the NFIP. Meanwhile, as changes are made, PIA National will make sure independent agents play a strong role in the delivery of flood insurance to homeowners and businesses needing that insurance and that means changes to the NFIP. PIA National has gone on record as supporting the Flood Insurance Market Parity and Modernization Act (H.R. 2901). It has passed the House of Representatives and is now waiting consideration in the Senate where it is also expected to pass. Jon Gentile is PIA National’s Vice President of Government Relations. He said the bill’s bottom-line is encouraging the development of a private flood insurance market. And with strong consumer protections via the nation’s system of state insurance regulators, that will be a good thing. “PIA members from around the country were just in town for our Federal Legislative Summit asking members to support this measure. We are pleased Congress heard the voices of their constituents,” Gentile said. The PIA does not want to see — and doesn’t think this bill will — immediately privatize flood insurance. So the PIA is advocating for another renewal of the National Flood Insurance Program (NFIP) when it expires in 2017. On the other hand, it will help solve many of the program’s ills and is worth passing. While the bill has the support of the PIA and other insurance associations and insurers, Standard & Poor’s — while neutral on the idea — doesn’t think it will eventually lead to more insurers in the market. Before that will ever happen, S&P says a whole lot of changing needs to be done. “They’ll [insurers] need to surmount several difficulties in underwriting, modeling and pricing flood risk. At this point, we don’t expect a wave of private insurers to sweep into this market but rather a trickle, as insurers would enter cautiously before they become more comfortable with the risks involved,” the S&P report said. What the ratings giant does not want to see is insurers going for it without a lot of planning. “If private insurers were to enter the flood insurance market aggressively without proper underwriting guidelines, models, and risk tolerances/limits in place, we could take some rating action on the insurers,” S&P said. Ron Wright heads the Federal Emergency Management Agency (FEMA) and FEMA runs the National Flood Insurance Program (NFIP). FEMA’s mismanagement of the NFIP and its poor business model — and Hurricane Katrina — caused the agency to be billions in the hole. At the heart of the reforms is a demand for increased transparency and oversight of the 79 private insurers issuing flood insurance policies. Much of the call for change came from controversies involving claims filed and settlements enacted from Superstorm Sandy. Critics said many filing claims were low-balled in settlements. To counter the criticism, FEMA upped payments to those in that category by $58 million. But it’s not enough. Delays still plague those filing claims and one contractor said FEMA ordered him to deny or underpay claims. A report from National Public Radio (NPR) said private insurers are lining their pockets at the expense of those filing claims. And the money involved in the accusation is over $406 million. NPR and the General Accountability Office (GAO) say Write-Your-Own program insurers keep 30% to 40% of premiums as payment for writing the insurance and administering the program. The GAO thinks that’s too much. Considering actual expenses, the insurers — the GAO notes — are overpaid by as much as 16.5%. And it pointed out that one insurer picked up $327.1 million more than actual expenses. Insurers had no comment on the NPR report or the GAO comments but Insurance Information Institute (I.I.I.) President Dr. Robert Hartwig did. He said both reports are flawed and profits are closer to 10% to 15% and those are reasonable profits considering the services provided. “It is always going to be the case — in the event of a major catastrophic loss where hundreds of thousands of people will have seen damage or complete destruction of their property — in some instances they will believe they are due more than in fact the claim was ultimately adjusted for,” Hartwig said. FEMA oversight is also to blame for the NFIP problems. The agency doesn’t pay enough attention to its own rules and in many cases doesn’t even try to enforce them. None of this has escaped the notice of some in Congress. New Jersey Senator Bob Menendez is one of the program’s biggest critics. “FEMA was happy to give these Write Your Own insurance companies a blank check to litigate against Sandy victims with every hard-nosed tactic imaginable, wasting millions of policyholders’ dollars in never-ending court costs to cover up widespread underpayment, rather than using even a fraction of that money to pay storm survivors,” Menendez said. He likens the claims appeals process to a shell game and wants FEMA to reopen all of the Sandy cases and eventually wants private insurers ousted from the program. • Re-doing its contract with private insurers that offer flood policies. • This will potentially allow FEMA to renegotiate the contract while increasing oversight. • Redesigning the appeals process for policyholders who aren’t satisfied with the amount of the payout for their initial flood claims. • Creating an oversight team to monitor costs when private insurers are sued for flood claims. Victims of Sandy have said that insurers currently have no incentive to settle suits quickly, since FEMA pays all litigation costs associated with disputed claims. The U.S. House has pass the Flood Insurance Market Parity and Modernization Act. If you’re deeper into the subject it’s H.R. 2901. It passed the House 419-0. So you might say it has bipartisan support. Insurers and insurance organizations like PIA National hope it finds similarly easy sailing in the Senate. The law requires private flood insurance to be treated the same as federal flood insurance by banks and mortgage lenders.